The Don Juan Custom Cut Barber Pole Skateboard Deck is a high-quality skateboard deck that’s so much more than a piece of merchandise from your favorite grooming brand. This exquisite piece of skating gear is made with quality ingredients and boasts a stunning design that won’t wear off as the result of everyday use. Best of all, it’s incredibly affordable, costing only sixty dollars. If you want to skate in style, look no further. The Don Juan Custom Cut Barber Pole Skateboard Deck is a stylish and durable deck that’s perfect for your skating needs. Made from high-quality maple, this deck comes with pre-drilled holes for trucks. Don Juan Pomade is always striving for quality, and this skateboard deck is no exception. This product isn’t just flimsy merchandise made to promote a brand. The wood is extremely thick and sturdy, meaning that this deck is built to last. It’s carefully finished by hand to ensure flawless curvature. Visually, the Don Juan Custom Cut Barber Pole Skateboard Deck is a stylish nod to the values of the brand. 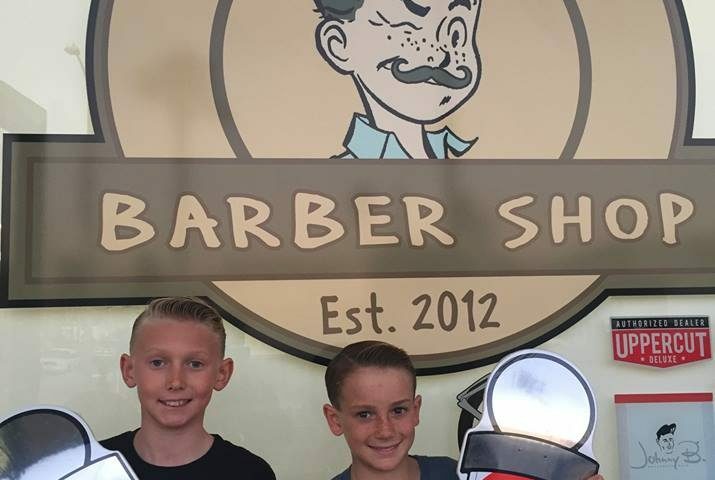 The barber pole imagery allows you to show off your love of all things retro. The brand’s famous logo is featured as well, gleaming thanks to its light-reflective sheen. Its brilliancy allows it to stand out. If you’re a skater who adores the high-quality, organic grooming products from Don Juan Pomade, there’s no better way to show your love than by grabbing the Don Juan Custom Cut Barber Pole Skateboard Deck. This deck is extremely high in quality and is absolutely stunning to look at.